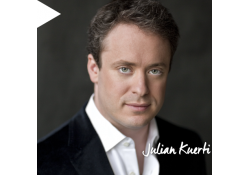 Kalamazoo, MI May 2, 2018 - The Kalamazoo Symphony Orchestra, with guest conductor Julian Kuerti, close the 2017-18 symphonic season with the music of Beethoven and Prokofiev. The Eroica Trio, the most sought-after trio in the world, perform Beethoven's Triple Concerto. After intermission, Maestro Kuerti conducts Prokofiev's thrilling Symphony No. 5. The American premiere of this symphony was so popular, a portrait of Prokofiev was featured on the cover of Timemagazine in November 1945. Kalamazoo, MI April 12, 2016 – For their final concert of the 2015-2016 season, the Kalamazoo Symphony Orchestra presents Elgar & Stravinsky featuring principal cellist of the Philadelphia Orchestra, Hai-Ye Ni. 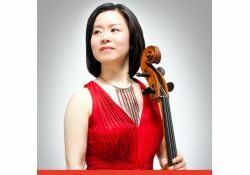 Ms. Ni will be featured in Elgar’s Cello Concerto. Also on the program for this season finale concert are Elie Siegmeister’s Lonesome Hollow and Stravinsky’s Russian ballet, Petrouchka.